Hello again. How times flies! With our group’s work with the Hastings Sunrise Community food network coming to an end, it seems as if the real work is only about to begin. At this point, we have attended several focus groups and are continuing to gather and organize information. Here we will update you with our experience in the first and second focus groups, and some of the discussions which took place regarding healthy, affordable food and food resources. Hearing some of the community members’ personal anecdotes regarding food insecurity was sometimes astonishing and always inspiring, in that we are now questioning what we as students can do for the Hastings-Sunrise community as our project nears its end. On Thursday, November 17, some of our group attended the Thunderbird Community Centre for our first focus group discussion. Thunderbird is a low-income and very diverse neighbourhood, and some of the food outlets are far from the residential area. Hearing food related experiences from the community members first hand provided insight into the current food insecurity issue in the Hastings Sunrise Community, to an extent that we did not realize. For example, many of the members at the focus group are living off of welfare or pensions and receive financial support once a month. Depending on the time of the month, some do not have the financial means to pay for food. Most of the community members are single, and the majority of the community members in this demographic mentioned difficulties cooking for only one person as fresh food goes bad easily and the meal portion for one person is small. Distance and transportation is another major obstacle in accessing healthy and affordable food mentioned in the focus group. Mobility issues for the elders make it difficult to get to the Superstore, and in addition, they feel unsafe in the neighbourhood at night and do not want to walk to the store alone. In the focus group, we also discussed potential solutions in addressing food justice and the accessibility and affordability of healthy food. Some of the potential solutions mentioned at the focus group could be viable options for the Thunderbird community. One idea was a food shuttle design for people with mobility concerns to give them access to grocery stores. Another example is a mobile vegetable truck which could bring healthy food options into the community, which ideally would help those struggling with physical access to resources. 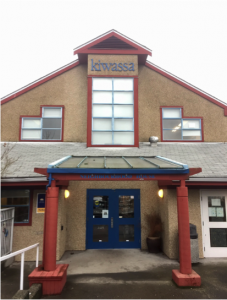 The second focus group we attended was on Thursday, November 24 at Kiwassa Neighbourhood house. The demographic of the group was different in that it was dominated by women who were responsible for feeding themselves and their children. This group was extremely open to sharing, and the atmosphere in the room was one of support. Many challenges coincided with the first focus group including not being able to walk to food outlets, or not having the time to bus across town. There was a focus on growing their own food, and this was expressed as something everyone there was interested in doing; whether by learning more about how to start your own garden, wanting to share garden space which they currently own, or by starting new community garden spaces, everyone was interested in collaborating with one another to improve this food resource. Education seemed to be a recurring theme as well. The majority of the attendees were immigrants (from China, Mexico, and Iran), who expressed struggling with adapting to cooking in North America and not being familiar with local produce. A solutions that the group came up with included bring more local, small scale food outlets to the community centres such as Kiwassa to decrease the distance from stores. Creating something like a weekly farmers market and increasing cooking programs year round was identified as being a priority if the community were to implement a plan to reduce food insecurity. Overall, this focus group was filled with openness and sharing, and even some exchanging of contact information between attendees. It was extremely heartwarming to witness small change like connecting an experienced gardener with a less experienced one as a direct result of the focus group project. Attending our first food circle has been a pivotal moment in this project; one of great reward for a variety of reasons. Hosting food circles is what we’ve been waiting to do all term and after prep-work and training sessions, we finally made it! Sitting in on these sessions and listening to the stories that some of the community members were willing to share has been an eye-opening and an almost overwhelming experience. In our minds, it has given this project life and really made us realize that the statistics and numbers we often read about in academia each have a face and story behind them. Without recognizing who the individuals that are impacted by food justice are and their specific circumstances, we can’t appropriately understand how their access to nutritious, affordable food is being impeded (Dixon, 2014). We must understand food justice with this new perspective to make it more clear what forms of social activism can improve people’s circumstances and restraints to free choice (Dixon, 2014). Attending these focus groups has emphasized the importance of experiential learning as it has not only deepened our knowledge of food access and its barriers, but has instilled in us all a new personal passion and connection with the topic. Attending the focus group connected us to the issues on a more emotional level and developed a deeper understanding of the importance of food insecurity. Attending the first focus group, there was a sense of discomfort at times, possibly because although community members were appreciative of our help and were quite open, they may have also been hesitant in opening up to us because we were not experiencing food insecurity at the level in which they were. At the second focus group, there was a more diverse group of attendees, and there was if anything a feeling of slight uncertainty at first, but this soon dissolved into enthusiasm. While we have extensive theoretical knowledge gained through our education, applying this knowledge in a tangible, realistic way to implement positive change in a community can be difficult at times. Consequently, through the two focus groups and according to Mathie and Cunningham, it is evident that ratifying relationships with community members is necessary in bridging social capital of community projects (2003). When it comes to the designing of programs to address community food insecurity, it is imperative that we include community members in the planning and implementing process. The opportunity to be part of hosting focus groups with community members has been an invaluable learning experience we could never have received in a lecture hall. It has demonstrated the importance of collaboration on a number of levels; between us as a group, between our efforts combined with the HSCFN leaders, and between our final collaboration with members from the community during the focus groups. This project has challenged us in our ability to integrate knowledge and skills obtained from the “real-world” in combination with those obtained from the world of academia. We realize that although these two worlds may conflict, both have important insights to offer. If approached in the right way, academia can play an important role in addressing food justice by recognizing issues that may otherwise be withheld and by thinking critically about these issues in order to create change (Allen, 2008). We are currently trying to find this balance so that we do not in any way impose privilege or power on the communities we are working to help but instead approach the issues at hand from a more bottom up perspective, and be grateful with insight and perspective community members are willing to share with us. Focus groups provided opportunity for community members to express their voice. They were provided a safe environment in which they could freely state their concerns and personal lived-experiences. By gathering and involving community members in the process of identifying community barriers to accessing healthy, affordable food, it allows their needs to be specifically addressed and incorporated into the goals of the HSCFN. With the knowledge gained from this project, HSCFN leaders now have valuable information and personal experiences to back them while advocating for increased funding to support the implementation of more and improved programs to increase the community’s capacity for engagement within the unique Hastings Sunrise food system. Moving forward, the results of this project will provide the foundation on which the HSCFN leaders can build upon and keep in mind when advocating, discussing, planning and hopefully implementing community programs like gardening and education programs, community kitchen programs, or mobile meal kit or grocery delivery trucks to work towards improved food security in the Hastings-Sunrise Community. It is evident that we can’t improve social justice without giving a face to the community’s stories and experiences that translate these conceptual frameworks into reality. We cannot simply improve food justice without abundant resources, knowledge and the critical and reflective eye of academia. To further our work towards increased food access in the Hastings-Sunrise community we must now integrate our research and writing skills obtained in academia and combine it with the knowledge and insight obtained from the community. We hope that with our report we may provide the HSCFN leaders with a competent resource for their future utilization in the process of applying for funding and grants to support their work in improving community resources. Over the coming weeks, focus groups will continue to be held in community centres across the Hastings-Sunrise community. It is a busy time, and we are all extremely torn in balancing this project with our other subjects. Though we will not be able to attend all of the focus groups, we are remaining in close contact with the HSCFN leaders and will be collaborating with the facilitators to compile data from the focus groups. This project will continue into the new year when another LFS 350 group will pick up where we left off, hopefully utilizing the information we collected to help facilitate the implementation of some of the community members’ suggestions regarding community food security. Our report is only a stepping stone in this ongoing project, and we intend to be as thorough and critical as possible in order to make the most impactful changes which may eventually, after a few more LFS 350 projects, lead to implemented improvements of current community food programs. There has been a lot of effort and support put into this project from all sides, and us students have certainly been captivated by the amazing work being done in Hastings-Sunrise. We will continue to stay up to date with the project, and some of us may even be able to attend the celebration taking place in January! We may have a deadline for our course, but our contribution to the project doesn’t end with the final words of our report. For the final time, this has been Sonella, Sydney, Iris, Jenna, and Kimberly, signing off. Hello! After finishing the facilitator training session, we are now half way through our project. This post is an update on our achievements and future objectives, as well as a reflection on our journey so far; we have discussed as a group the moments of significant change along with what has been working and not working. Through this reflection, we hope to specify strategies to make the final stretch of the project a success! Attended “World Food Day” at Science World. Collected community food program information and brainstormed questions for focus groups during the October 20th facilitator training session. Determined the order of the main and subsequent questions, and finished preparatory work for the focus groups during the October 27th facilitator training session. Attend focus group meetings, take notes and record observations. Brainstorm and check in with community partners regularly via email. 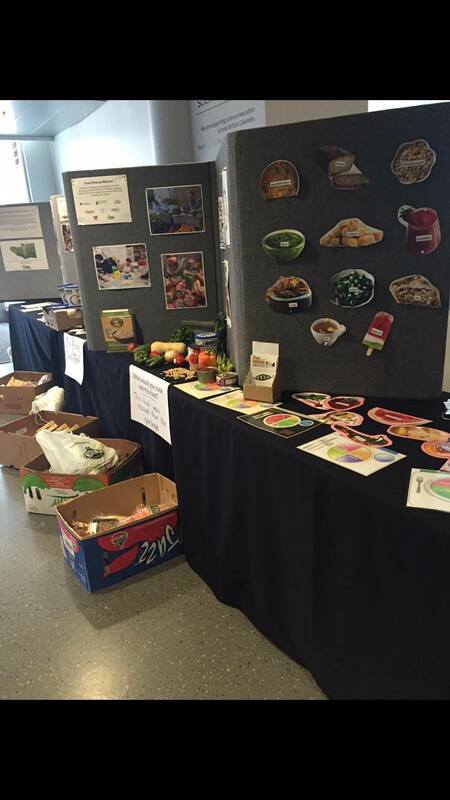 So far, we have been supporting the Hastings Sunrise Community Food Network (HSCFN) by participating in the facilitator training sessions and representing them at the community food event, “Food Day”, at Science World. It was a great opportunity to collaborate with the Grandview Woodland Food Connection (GWFC). The feedback from after the event was that the food and interactive activities were more effective and drew more participants than the information board set up by the GWFC, a great thing to remember for future events that the HSCFN and GWFC attend. The facilitator training has been a significant part of our role thus far. The questions that the group came up with incorporated many strategies for effective involvement of community members. The concept of asset-based development was one guiding concept in developing the questions in order to create questions that emphasized the existing assets in the community to build upon, rather than emphasizing what the community lacks. This strategy promotes positive empowerment and will create a more engaged atmosphere, as indicated by Mathie and Cunningham (2003). Another strategy they incorporated is holding the discussion with several sets of umbrella questions, which consist of a main questions and three or more subsequent questions. In this way, the community members can understand the complex ideas in food security better and more likely to participate in the discussions. The questions included growing food and accessing food production resources like gardens (low-cost or free). As Ron Finley talked about in his video “A Guerilla Gardener in South Central LA” (2013), participating in community driven food projects like community gardens are very effective ways of empowering people to participate in their food systems. The focus groups will hopefully be able to shed some light on whether programs here are having a similar effect. The focus group questions also asked what nutritious food looked like to the participants. One of the goals of the Vancouver Neighbourhood Food Networks is to increase access to personally acceptable foods. Having personally acceptable foods ties well with the questions about access to food production programs which will be asked at the focus groups. As discussed in the article by Miewald and Osprey (2014), accessing food resources can have an affect on personal well-being because they can facilitate access to a wider range of food choices. Being able to chose your own food and being able to access more than just the food provided by fast food restaurants or food banks (which may sometimes be the only affordable option) can change aspects of your diet like nutritional intake. The questions in the focus groups will hopefully shed some light on this topic beyond the case study of the Downtown East Side which was discussed in Miewald and Osprey’s paper (2014). The process of coming up with the questions for the food circles came after a few weeks of developing ideas with the HSCFN facilitators, and has come with both a change in our knowledge and some emotional ups and downs. Our role as students has allowed us to develop our skills in project steps, including the proposal process, as well as working with community resources. The following graphs showcase the moments of significant change where we noticed a switch in how our skills and knowledge was increasing, as well as moments when our emotions were changing. 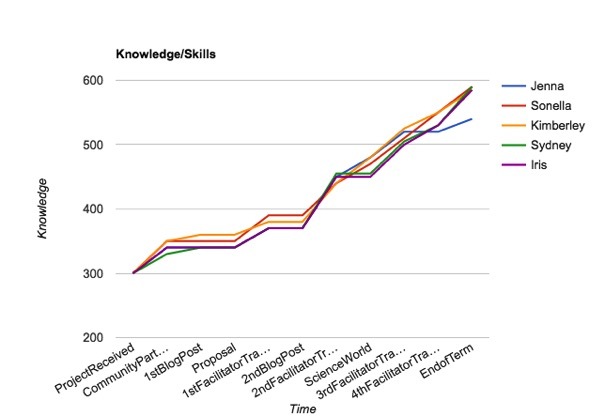 Our group plotted our knowledge and skills, starting at a base knowledge that we felt we had going into the project and the amount of knowledge we felt we gained after each moment of change that happened during the course of our project. When we first received the project we felt that we had some level of what was required for the project and theoretical knowledge that could be applied to the project, however nothing concrete and minimal skills that we felt we had related to community based development. However, after our first meeting with our community partner, our knowledge increased greatly. We all had similar experiences in feeling like the facilitator training sessions helped increase our knowledge and skills, as we began to learn more about the community, issues at hand, as well as the skills in interacting with community members. There were some stagnant periods, where we felt in order to increase our knowledge we needed to deepen our involvement in the community. With the focus group sessions coming up in November, we expect that our knowledge will increase even more, as we finish up the project. 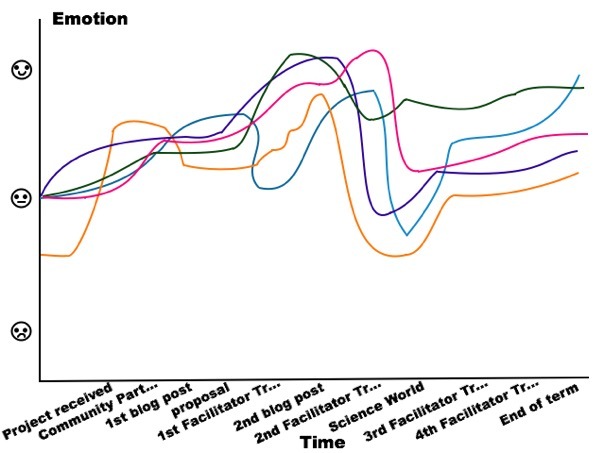 Our group faced many significant emotional and attitude changes throughout the course of this project, as illustrated in the graph. Prior to meeting with our community partner, some of us were nervous about the project and others more neutral and simply curious as to how things would unfold. After meeting with our community partner for the first time we all felt more confident and at ease as we gained clarity in what this project would entail. We also gained a sense of motivation and an instant connection with the purpose and aims this project hopes to achieve. This sense was further strengthened after we started to attend the facilitator training sessions. The training sessions were eye-opening and thought provoking sessions which gave us constant mental boosts as each session gave us a valuable opportunity to learn from the stories, experiences and opinions of community members. Each training session strengthened our belief in this project as we were able to witness it’s progression. As the semester continued and midterms as well as workloads in our other classes started to pile up we started to feel a little overwhelmed. The peak of our stress seemed to collectively be around the week at which we participated in the “food day” event at Science world. This was an extremely busy time for us all where we were stressed and felt short for time to accomplish all that we needed to. Despite the rough period, we were able to get through it as a group and are still optimistic as to what this project will help achieve. Moving forward, we are all excited to begin working with focus groups so we can continue to learn and grow with this project. Strategies for Success: what are we up to next? Much like UBC, the road to success is always under construction. Our priorities are always evolving as new obstacles and tasks arise. Therefore, it is imperative that we set up strategies to accomplish our goals efficiently and cooperatively during this final stretch of the semester. In the following weeks, we will be attending focus groups in four neighborhoods within the Hasting-Sunrise community. Here we will hear from the resident’s perspective, and try to identify the barriers they face in accessing healthy and affordable food. Our main role will be to continue to support the HSCFN facilitators in any way we can. We anticipate our knowledge continuing to grow, as there will be so much to learn from talking with community members during the focus groups. It will be interesting to observe from a food justice lens, and see the overlap between course content and what the community members know. With so many things coming up, our plan of action to promote continuity is to continue to be transparent with one another regarding where we are at with our schedules and workloads. Communicating within our team as well as with Joanne and the rest of the HSCFN will be a key strategy to remaining on top of our assignment while helping the best that we can at focus groups! However, as we’re really just “dropping in” on this enterprise and won’t be present to see it through to completion, it will be crucial for us to be able to set a “cut off” on collecting information and transition to beginning to construct our final project. It will be important to meet both our needs within the constraints of our paper, as well as the needs of our community partner. Ultimately, whatever we accomplish belongs to our entire group and the HSCFN, a tribute to our combined effort. Big things are up ahead as we work on our presentation and look forward to the “main event” we’ve been anticipating all semester. It will be really exciting for us as we will finally be able to implement the training we have recieved over the past few months and see our efforts towards the focus groups come to fruition. We won’t all be attending the same focus groups either, so it will be interesting to see how our experiences differ. Will the answers be what we predicted would be common? Who will the participants be? How will we be affected by engaging in theses food circled? Stay tuned for updates! Finely, Ron (2013). “A Guerilla Gardener in South Central LA | Ron Finley.” YouTube. TED,. accessed from https://www.youtube.com/watch?v=EzZzZ_qpZ4w on 06 Nov. 2016. Miewald, C., & Ostry, A. (2014). A Warm Meal and a Bed: Intersections of Housing and Food Security in Vancouver’s Downtown Eastside. Housing Studies, 29(6), 709–729. Hello again! This past week, after a lot of preparation and anticipation, we finally began our work in the community with the first facilitator training session. We will update you on some of the objectives and achievements of our project thus far, as well as a reflection on our first community experience, which provided new insight and clarification to our project. On October 6th we attended the first facilitator training session in the Hastings-Sunrise Community, which provided a good introduction to the community and its members. During this session, the Community Outreach and Food Security Coordinator of Frog Hollow (Eva) led a discussion regarding current barriers to food security. Community members shared some of their personal experiences from times in their life when they had felt most food insecure. The atmosphere within the session was made comfortable enough that people felt able to share very personal stories from hard times they endured. These firsthand experiences with food insecurity evoked emotional responses from most storytellers as they carried residual shame or embarrassment, but the environment was safe and there was a supportive group of people allowing them to feel comfortable enough to share. We felt honoured that people we had just met could be so open with their experiences with food insecurity, and these personal experiences gave us a better understanding of how complex and firsthand the issue of community food security is. In addition, hearing these reflections from others initiated personal reflections in ourselves. After hearing some of the hardship that these people go through in accessing food, we recognized our own privilege and the importance of trying to understand these issues from the perspective of the community. As Dixon (2014) highlights in her article, it is important to not just perceive food justice from the perspective of traditional narratives, including “food is a personal choice”, but to take on the perspective of those who experience food injustice in order to understand their contextual background and understand where their food agency is being impeded. By learning to adopt this perception through listening to the experiences of community members at the facilitator training sessions, we can better understand how to identify and address the barriers to food insecurity in the community. Using the identified barriers we can now begin to brainstorm how these problems can be diminished or overcome through use of new or improved community resources in order to increase community food security in the Hastings-Sunrise region. Through continued community meetings, the facilitator training and focus group sessions, we will continue utilizing the Asset Based Community Development approach by rallying community members to bring focus to a common vision or plan to improve community access to sufficient and healthy food (Mathie & Cunningham, 2010). Through use of experiences from the Hastings-Sunrise community members, we are able to gain a deeper understanding of both the complexity and prevalence of food insecurity in the overall Hastings-Sunrise Community. With the barriers and challenges identified, we can move towards creating programs to induce social change rather than temporary fixes (e.g. food banks). By developing programs that focus on long term solutions, we will ideally be able to systematically and holistically improve food security for the community. As discussed by Roncarolo, Adam, Bisset and Potvin, (2015), alternative, long term interventions like community gardens are shown to be more effective at empowering communities to be engaged in their food systems. Below we have attached a link to a pdf of our project proposal. Dixon, B. A. (2014). Learning to see food justice. Agriculture and Human Values, 31(2), 175–184. Roncarolo, F., Adam, C., Bisset, S., and Potvin, L. “Traditional and Alternative Community Food Security Interventions in Montréal, Québec: Different Practices, Different People.” Journal of Community Health. 40.2 (2015): 199. Web. 6 Oct. 2016. 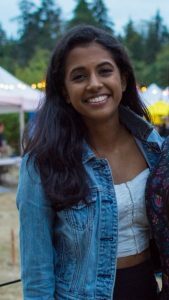 Sonella Ramanaden is majoring in Nutritional Sciences and aspiring to become a Dietitian. She is super excited to help out with the Hastings Sunrise Community Food Network project as their goals are ones that she whole-heartedly supports and would love to play a role in working towards achieving. Sonella has always wanted to be a part of the change in obtaining a more food secure community and hopes that her future career will be able to help in doing so. She loves volunteering at her local food bank and she is keen to interact with members of the Hastings Sunrise community, identify the strengths and weaknesses they are noticing and then help with the strategics and logistics of implementing some viable and sustainable solutions that will make a lasting positive impact in the community. Hi! 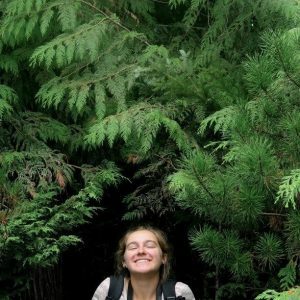 My name is Jenna McIntyre and I’m a 3rd year student in the program of Global Resource Systems, focusing on Agroecology. Agroeceoloy is a discipline that studies the natural environment in order to mimic these cyclic systems in re-designing a more sustainable food system. I am interested in place-based knowledge and it’s application in creating food systems that are context dependent. In additon, I am interested in how knowledge of and interaction with sustainable food systems can be disseminated at a grass roots level. I look forward to the opportunity of engaging in community work with the Hastings-Sunrise project and learning how to apply the knowledge and current context of the community in finding solutions for a more food secure community. I am excited to immerse myself in the community and do some hands on work! Sydney MacLennan is thrilled to be working on a project that aligns with her academic and career goals. After taking a course on community based research and undertaking a research paper near Arusha, Tanzania last summer, she was inspired to challenge how we approach sustainable development. Working with community assets and consulting local stakeholders is one extremely beneficial strategy for development projects; the Hastings Community Food Network has certainly been using this strategy. Sydney looks forward to learning from people experienced in collaboration and community involvement, as well as learning more about her academic specialty with a local lens. 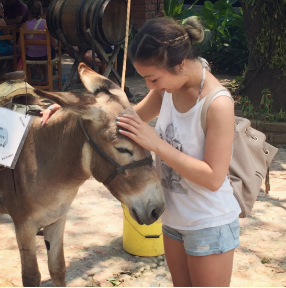 Sydney is currently in her third year working towards a Bachelor of Science in Global Resource Systems, specializing in food security and food systems sustainability. She would also like to introduce Taco, her nephew, featured in the photograph. 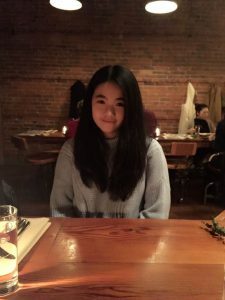 Zijun (Iris) Kuang is majoring in Food, Nutrition and Health, interested in pursuing a career in food science. She is a foodie and enjoys cooking and reading. Last year, she participated in the School Food Environment Assessment. She learnt the interplay between a sustainable food system and local food preferences. She is curious about root cause of local food inaccessibility of certain area and what she can do more to help to make the food system better. She is excited to get involved in the Hasting Sunrise Community Food Network program to explore more about community food security. Kimberly Jung is a third year student in the Nutritional Sciences major interested in pursuing a career as a Dietitian. Growing up in a household where meals changed with the latest “healthy eating” fads has encouraged her to find a passion within nutrition and discovering healthy eating her own way. 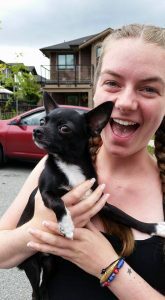 She is excited to be a part of the Hasting-Sunrise Community Food Network program as she is a member of this neighborhood and would love to get involved within her own community and contribute to the food environment! Given our introductions, it’s clear that although we come from different facets of the LFS faculty, we all share a common interest in the Hastings Sunrise Community Food Network Project for its focus on community and network development. We hope to develop our professional skills through collaborating with our community partner, and are looking forward to exploring the multiple elements of a community food system and recognizing the ways in which we can create a more affordable and accessible food network. Why isn’t everyone food literate or food secure? While this demanding question is beyond the scope of what we can address within one semester, our group is working with the Hastings-Sunrise Community Food Network by undertaking this question on the small scale. It is our goal help address barriers and brainstorm ideas to improve access to healthy, affordable food in the Hastings-Sunrise community. 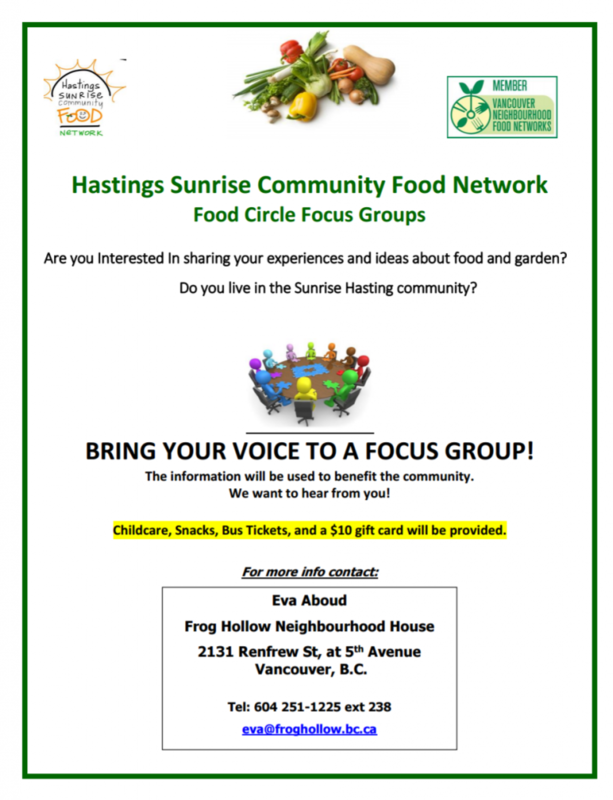 Our role includes assisting the facilitation of focus groups in different community centres in the neighbourhood, as well as developing an “interactive activity” at Science World’s World Food Day Event. The end objectives of these projects are an increase in community engagement in food security, a better understanding of the barriers in accessing healthy food in this community, and recommendations on ways to address identified barriers. We are honoured to help with this program and to promote the accessibility of affordable, healthy food programs to residents in the Hastings community. Using our combined knowledge and backgrounds, we hope to make a tangible contribution to the community. We set up a meeting with the Hastings Food Network coordinator Joanne MacKinnon this Wednesday to better understand the goals as well as our roles as volunteers for this program. Joanne gave the example of the need for community engagement with a certain food program that needed to be instructed in Chinese. The organizers would not have known unless they worked directly with the community to identify the demographic as being primarily Chinese. Considering the diversity of the Hastings-Sunrise area, the needs and expectations of programs differ for individuals within the community. We think the focus groups in this program can potentially aid us in identifying some of the specific needs, such as food service programs or more developed food infrastructure, in the neighborhood. We can also recognize the potential barriers of accessing nutritious food during the focus group activities. We will be able to enhance communication between individuals within the community and the organizing agencies through note-taking and writing up a report to be sent back to the Hastings Community Food Network Coordinator. This will help identify what strategies and programs are working and what areas need improvement, as well as potential ways to implement these strategies. “Academics have an important role in calling out social justice issues and developing the critical thinking skills that can redress inequality in the agrifood system. Academics can challenge ideological categories of inquiry and problem definition, include justice factors in defining research problems, and develop participatory, problem-solving research within social justice movements”. This resonated greatly with us as it is a reflection of what we are trying to accomplish through our work with the Community Food Network program. Being LFS students, we have adopted a transdisciplinary approach to conducting our problem-solving research. We are aware that Vancouver is a very culturally diverse region, and as such requires a variety of approaches in order to deliver information and also provide an equal opportunity to all members of the community to engage. It is our goal as a group to include these social justice factors when assisting in the focus group facilitations in order to help close the gap between the community’s needs and what is being provided by organizers. Allen also states, “Solving justice problems in food and agriculture begins with recognizing that problems are created by people and thus resolvable by people”. Hopefully, Group 22 can be a part of the “people” making resolutions to these problems! Joanne also mentioned that one of the aims of the Hastings-Sunrise Community Food network is to provide more affordable, healthy and sustainable food for the community. This relates to increasing the food sovereignty in the community. Food sovereignty is the right for people to choose their own food and agricultural system (Desmarais & Wittman, 2014). The approach Joanne is taking to go about this is an Asset Based Community Development approach. This approach involves the realization that individuals within the community are very valuable, as they have insight enabling them to recognize which areas are in need of improvement, as well as pinpoint the strengths that their community has to offer. These strengths can be utilized to their highest potential to make a positive impact in their local Food Network. As mentioned in Ernesto Sirolli’s TED talk (2012), it is important to listen to the people we want to help. When assisting in facilitating focus groups, it will be challenging not to appear as critical outsiders of the community. As a group we need to collectively create an inclusive environment for communication and help aid community leaders rather than rush an agenda. Although we may have our own understandings of community, food, and social justice learned from the LFS classroom, we should acknowledge and respect that our community partner may have a different way of operating these ideas in the field. Therefore, in regards to the project, we hope to focus more on the reality of the community instead of merging the community into a fixed template. We will approach aiding in each opportunity by putting aside our biases and appreciating the effort that the community partner has put into their programs. To conclude, our experiences in the community have been very positive thus far, and although we may encounter barriers and challenges as we proceed, we look forward to working through these in order to strengthen our capacity for community work. We hope that this project will have a positive impact on the food security in the Hastings-Sunrise community. Stay tuned for updates as we reach out into the community for our first facilitator training session next Thursday, October 6th. Allen, P. (2008). Mining for justice in the food system: perceptions, practices, and possibilities. Agriculture and Human Values, 25(2), 157–161. Welcome to the LFS 350 group 22 community project page! We are excited to be working with the Hastings-Sunrise Community Food Network! We will be posting updates on this site about what we are doing, and where we are on our project. Stay tuned for updates on what our project entails!